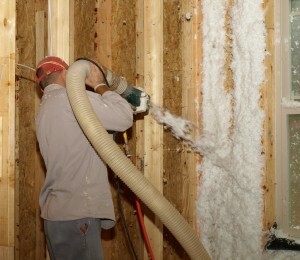 It’s important to hire professional insulation contractors if you’re thinking about replacing the insulation in your home in Houston, Texas. Performing the installation yourself can be dangerous, as certain insulation types can become fire hazards or otherwise damage your home if installed improperly, and even if you know how to handle it yourself, it can still be a hassle to take care of, especially without help. That’s where 31-W Insulation comes in. Our installers are highly trained professionals who know how to get the job done efficiently while still maintaining a high standard of workmanship. And, since our insulation contractors are all our own employees and never subcontractors, you can be sure they’re working with us on a united front to make sure you are treated with the courtesy and respect you deserve. When you have our insulation contractors take care of your house, you’re putting your trust in a company that’s been installing insulation and more for homeowners since 1972. We’ve been working hard ever since then to not only refine our process for quick installation without cutting any corners, but also to listen carefully to our customers to provide what they want, which has helped us earn an A+ rating with the Better Business Bureau. For more information on our insulation contractors and to request a free estimate in your Houston, Texas, home, contact 31-W Insulation today.